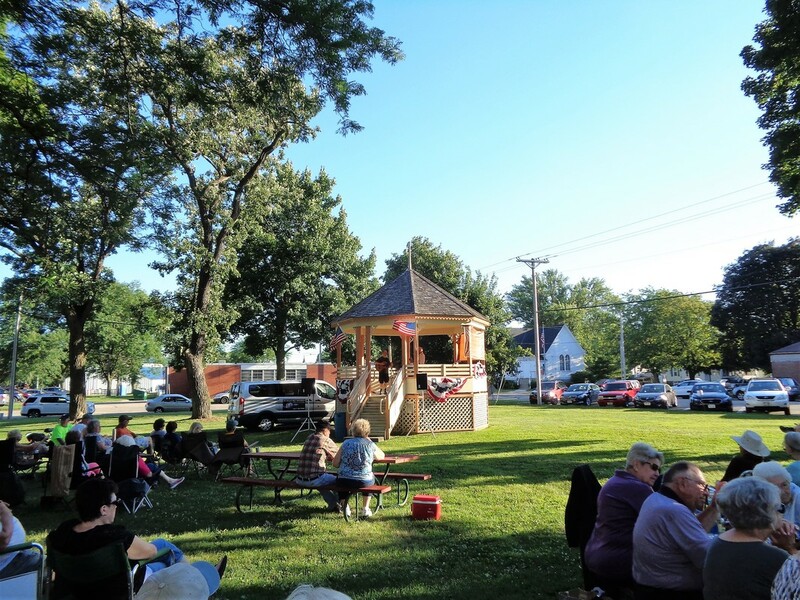 ​The bandstand is located centrally in Library Park which was placed on the National Register of Historic Places in 1982. According to the Village, the bandstand was built between 1900 and 1915. Narrowing it down, a newspaper article from 1905 states it was present in 1902. Also, the Sugar River Recorder, 6/13/1905, has a story that mentions the presence of the bandstand: "The commencement exercises of the Class of '02 of the Belleville High School is an event of the past and surely a card of thanks isn't due to the weatherman. The class spent most of the day in decorating the band pavilion only to see rain come in the evening and put a stop to their plans...". 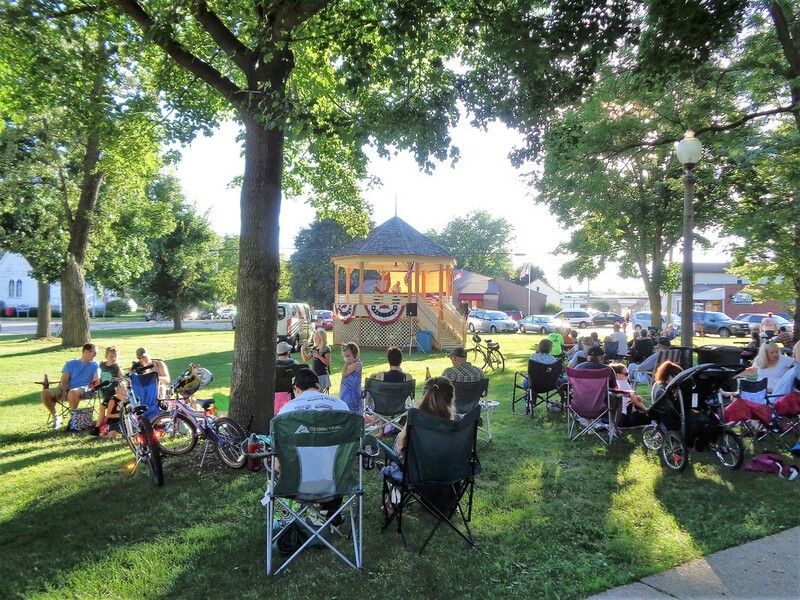 A story in A History of Belleville and Surroundings, a publication of the Belleville Area Historical Society, states "...In the early 1900s, Commissioner Scott was responsible for mowing the grass in the park and the band pavilion was frequently painted....". There is no information who designed it or what the original cost was. In the 1980s, the bandstand was rebuilt. In 2011 the bandstand sustained damage by a storm and was completely torn down. It was rebuilt by Joe Buol Construction at a cost of $30,000. 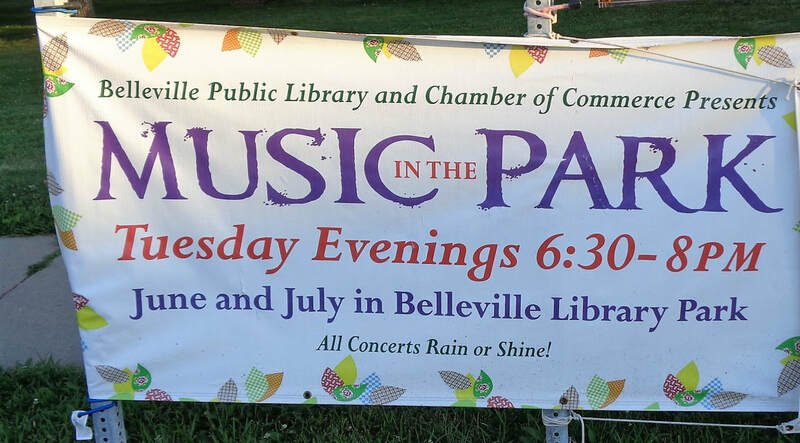 The Belleville Library hosts a variety of music with the "Music in the Park" series, held on Tuesday evenings during June and July each summer. Churches have reserved it for services and any individual or organization can reserve it also.